Everyone has heard for the rivalry between dogs and postmen. Dogs chase them, and postmen leg it from dogs. However, the story of UPS postmen doesn’t look like that. They’ve created Facebook and Instagram pages where people can see how the friendship between dogs and postmen can go really well. 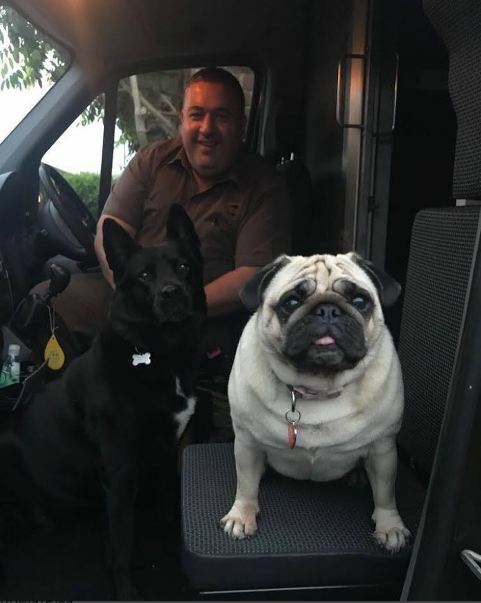 Their page is called “UPS dogs” and there are photos of dogs (ok, maybe some cats and raccoons) that UPS drivers meet on their routes. From little puppies to huge dogs, this page is the gathering of all marvelous four-legged friends. Meet two cuties, Jess and Luna. This picture was taken in London and it seems the driver David Dean has got some new friends. Wohooo! The parcel is here! We will put a sign on it with our paws! UPS drivers deliver packages all day long and their job is not so easy, and sometimes can be really boring. These dogs decided to make their days better. During their working time, many dogs are met - both bad and good. There is also one thing which impressed us so much - the FB page is not affiliated with United Parcel Service! When one of the postmen sends a photo that was taken with a cute pooch, it needs to have a description where it was taken, and what’s the name of the dog. 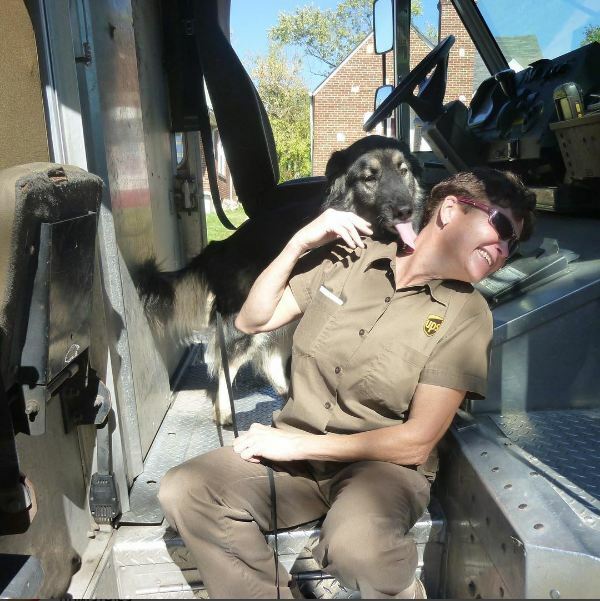 In the following picture, you can see the UPS driver Kathy with her four-legged fan called Ranger. When she drives through his neighborhood, it’s impossible not to say hello to him. 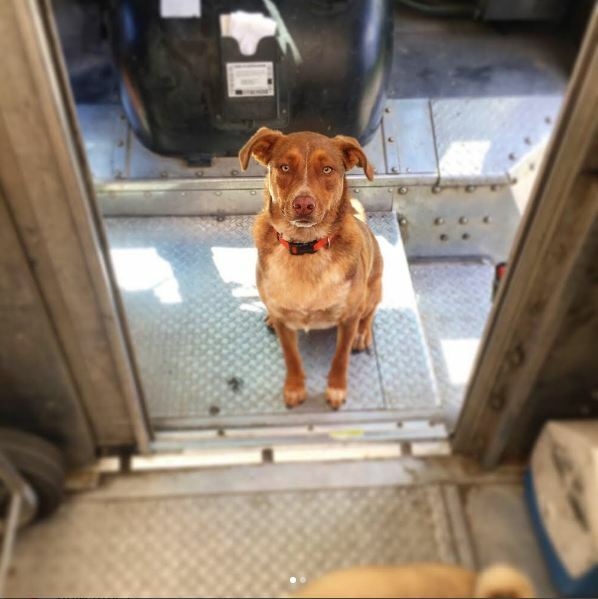 Ranger’s owners always let him go to her truck parked on the side of the road. Each of their meetings looks exactly like this. Kathy tried several times to take a normal photo with Ranger, sitting next to her nicely, but he doesn’t want to stop licking her face. The love between the dog and a human can be really unconditional! 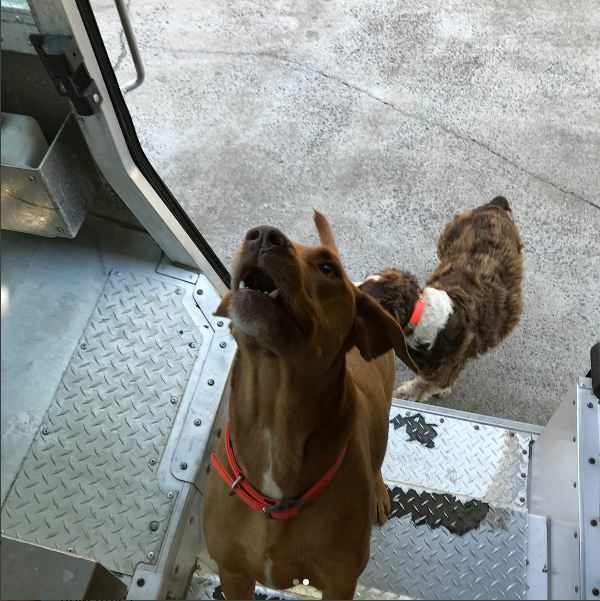 The UPS drivers can really meet some unusual friends while working. 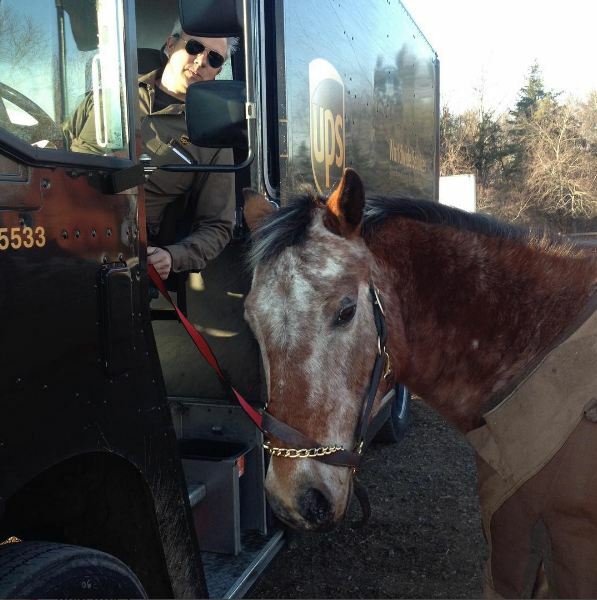 Driver Bill Teasdale in Durham, CT has taken a unique photo with Holly the pony. Not only they are friends, but also have matching brown uniforms. We must admit that this is a really “weird looking dog”!